In the wake of the 1992 Civil Unrest, 21 Los Angeles foundations united to help heal the social ruptures that drove it, working collaboratively to improve socioeconomic conditions in some of the city’s poorest neighborhoods, including disbursement of $25 million in grant funding. 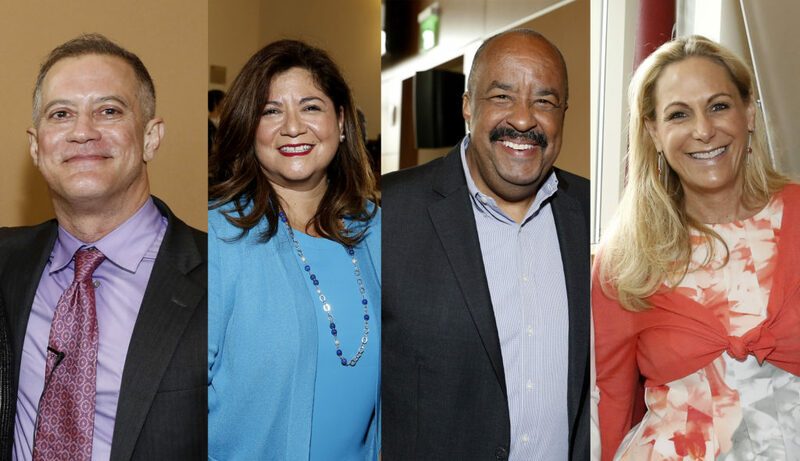 On June 1, 2017, The USC Center on Philanthropy & Public Policy (The Center) hosted foundation and community leaders for Los Angeles Urban Funders in Retrospect: Lasting Effects, Lessons Learned After the 1992 Civil Unrest — marking the 25th anniversary of this watershed moment in the city’s history. The convening is part of a larger inquiry by The Center and sponsored by Bank of America, with additional support from The California Endowment, that includes three roundtables, in-depth interviews, and a forthcoming paper. In welcoming the attendees, Professor James Ferris — founding director of The Center and the Emery Evans Olson Chair in Non-Profit Entrepreneurship and Public Policy at the USC Price School of Public Policy — noted that the creation of Los Angeles Urban Funders (LAUF) is a story embedded in the history of Southern California but that has national implications. In many ways, LAUF was the forerunner of philanthropic initiatives focusing on collaboration, place, community revitalization, and collective impact. LAUF’s former Executive Director Elwood Hopkins, now president of Emerging Markets Inc., provided an overview of LAUF’s long-term impact, explaining how unprecedented the collaboration was in a city then known for its fragmented philanthropic field. LAUF began as an ad hoc group of foundations and trustees, later becoming a formal consortium that allocated pooled resources in three low-income neighborhoods — Vermont/Manchester and Hyde Park in South Los Angeles, and Pacoima, an immigrant community in the San Fernando Valley — over the course of a decade, 1996–2006. Each of the participating foundations had an equal vote and was expected to contribute to the pooled fund in an amount relative to its overall grant-making capacity. “LAUF built on indigenous local efforts already at play,” Hopkins said. “We were looking for communities where partnerships were already forming.” A key emphasis was on building economic opportunity, a driver of change that historically had the least amount of philanthropic funding. LAUF also employed a bimodal funding mechanism, with its foundation members continuing to make conventional grants in the targeted communities but reserving the pooled money for riskier, less conventional approaches. In addition, the audience heard perspectives from representatives of the neighborhoods that benefited from LAUF’s work: Gloria Lazalde, resident leader and community organizer in Pacoima, and Mary Lee, deputy director of PolicyLink in South Los Angeles. Lee recalled that a number of nonprofits in South Los Angeles were initially skeptical of LAUF, worrying that it would represent business as usual in how funding decisions were made. Still, Hopkins said, what LAUF achieved at the neighborhood level has not yet been widely shared. By the time LAUF adjourned for the last time, it had made an indelible mark on the landscape of Southern California philanthropy. It had modeled new and effective ways for foundations to work with each other and with low-income communities. It had demonstrated that heightened collaboration among foundations translates into greater cooperative activity at the neighborhood level, which in turn translates into improved community outcomes. LAUF had been widely recognized as a model for more collaborative philanthropy and, in the end, it also provided some insights into the limitations of philanthropy’s capacity to sustain collaboration indefinitely. Other lessons learned include the importance of maintaining a steadfast commitment to a neighborhood, adapting to each community’s capacity level, investing in nonprofit management assistance, sharing risk with crucial partners, and identifying the best timing in which to engage the public sector. LAUF has been criticized for engaging the public sector late in the process, but early government involvement can overwhelm community residents, Hopkins noted. For more information: Please contact Gregg Millward, Senior Director of Development, The Center on Philanthropy & Public Policy at gmillwar@usc.edu or 213-740-1776.